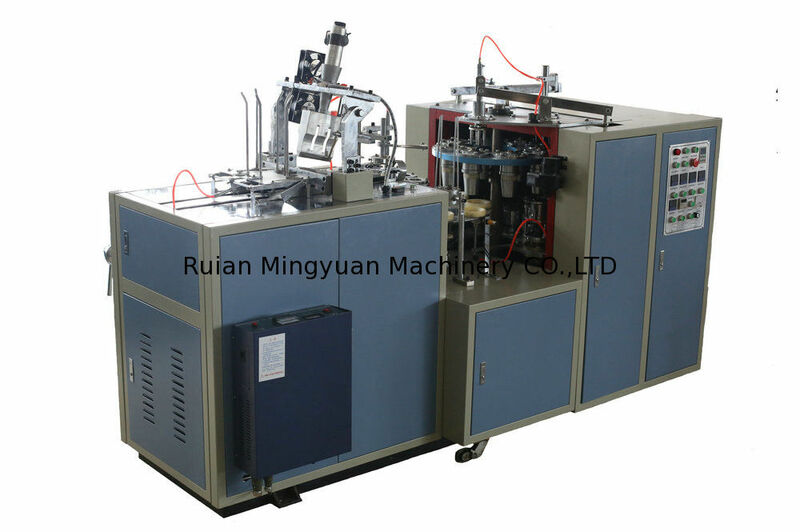 Ice Cream Paper Cup Making Machine is a kind of multi-station automatic molding machinery. Our double side PE coated paper cup machine (double PE coated paper cup making machinery) has become an ideal device for producing beverage cups, tea cups, coffee cups, advertising paper cups, market paper cups, ice cream paper cups or other disposable cone type food paper containers. 5) We Use Big and Thickness bearing in machine that is easy for machine target higher speed will not broken, Normal Machine bearing is weak if machine running long time or target high speed very easy broken. 7) Open Cam Cup Machine with Robort Arm system which good for pick up the cup drop into hole. 8) Open Cam machine base with cement seal which make machine much heavy( Net weight 1800KG), Machine running high speed very stable no shake.